The college has got a central & well furnished library situated on the ground floor. 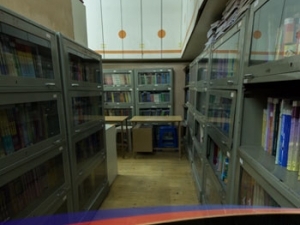 The library consists of more than 15000 texts, reference books on various subjects for Junior & Senior college students. We house books for everything. Our library also includes the facilities of rich online Journals, 15 Indian Journals and Magazines. Text books & other required books are purchased in multiple copies. The library is open from 8:00 a.m. to 8:00 p.m. to facilitate the students and members of staff for optimum utility with books for everything. Apart from these services, every department has a library of its own where only the faculty members alone can use them. Recent collection includes Audio-Video materials to cater the changing needs of the staff and students fraternity.